Is buying Facebook stock a good idea? Facebook’s much-anticipated IPO is expected this Friday. Should you invest? Or is the smarter move to hang on to your money? Everybody has an opinion about investing in the social media goliath. Some experts say Facebook CEO Mark Zuckerberg is too young to run a major company — he turned 28 today. Others say Facebook is the biggest investment opportunity of all time. Regardless of how you or your broker feel about the company, it will be one of the largest IPOs in history and it will make Zuckerberg and other Facebook executives even richer. He’s a sample of what pundits from Wall Street to Silicon Valley are saying. Forbes MoneyBuilder: Facebook IPO Approaching: Will You Buy Shares? 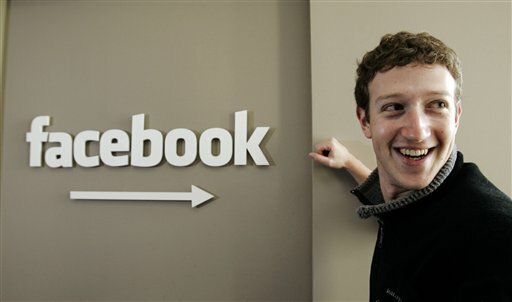 Photo: In this Feb. 5, 2007 file photo Facebook CEO Mark Zuckerberg smiles in his office in Palo Alto, Calif. This entry was posted in facebook and tagged Breakout, CNET, Daily Ticker, Facebook, forbes, IPO, MoneyBuilder, PCmag, shares, stock, Yahoo Finanace on May 14, 2012 by Roger Harris. Facebook’s planned IPO has generated lots of buzz, but is it really a wise investment? Chris O’Brien with the San Jose Mercury News takes a close look at the risk factors the company lists in its SEC filings. This entry was posted in facebook and tagged Chris O'Brien, Facebook, investment, IPO, risk factors, San Jose Mercury News on February 3, 2012 by Roger Harris.